and places it into underground springs. The rainfall and its role in our lives as mentioned in the Quran give us correct information. Had we been living in some other periods of history, we could not have grasped it. Now we are in a position to understand this, as the world’s water cycle has been made clear by the knowledge provided by contemporary science. If we compare the ancient lore about water with the information contained in the Quran, we realize that the Quran’s communications are free from errors, as always. The knowledge that underground springs were fed by rainwater provided in the Quran was first postulated in the 16th century in Europe against Aristotle’s contention. The prominent figures of philosophy like Thales, Plato and Aristotle had made errors in the accounts they gave of water. Muhammad in the desert, who had no other claim than that of being a messenger of God, proved to be correct when he uttered the related statements of the Quran. and mercy for those who believe. 68- See you the water which you drink? 69- Do you bring it down from the clouds or do We? 70- If We wish, We can make it salty. You should be thankful. All sorts of details related to the water cycle have been impeccably designed by God. The physical laws and the chemistry of water reflect the fine calculations behind it. The fact that rainwater contains no salt is again a blessing. 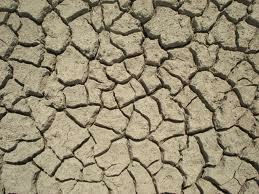 We saw that the rain was the consequence of evaporation of water. More than 90% of water that evaporates has, in its origin, oceans and seas with salt waters. The rules that govern the evaporation of water are arranged in order that the water is purified and disposed of its salt content and other impurities. The water of oceans and seas is not drinkable, while rainwater is, thanks to the evaporation process. In the Quran, reference is made to pure water coming from above. The Quran informs us that water was created after the formation of the earth. 31- From it, He produced its own water and pasture. At the time of the Quran’s descent, the first stages of creation of the earth were a mystery. The fact that the emergence of water on the surface of the earth was a phenomenon that took place after the creation of the earth, as mentioned in the Quran, is a miraculous statement. The earth in the beginning was extremely hot. As it gradually cooled down, heavy metals like iron settled in its center, while granite and oxides remained at the upper layers. As a result of the cooling, an outermost solid layer formed. When the surface temperature fell below 100 degree Celsius, the water in the depths rose to the surface, forming the oceans and seas. This emergence of water is in perfect accord with the account given in the Quran. The proportion of water on the earth is of great importance. Had lands extended into an expanse larger than the seas, the difference between night and day temperatures would have been higher and the greater portion of the living space would turn into a desert. The fact that waters form more than 70% of the surface of the earth is the result of an intelligent design. Had the water displayed disintegrative properties like certain acids during chemical reactions or remained unaffected like argon, it could not perform its function in the universe and in our bodies. Chemical laws have special applications for water, so essential for life. All other substances, whether solid or liquid, contract as they grow cooler. The volume of a substance in solid state is smaller and denser. Water, however, has quite different characteristics. Water, like any other substance, contracts until the temperature drops down to +4 degrees Celsius. Nevertheless, as the temperature continues to fall, it begins expanding, unlike other substances. That is, its volume increases. When it freezes, it expands still further. That is why it floats on the surface instead of sinking. All other substances behave differently; in solid state they sink. Thanks to special chemical relations proper to water, life becomes possible in the seas. Had the density of ice been greater than the density of water, the frozen water in lakes and seas would have sunk. And as there would be no layer of ice on the surface, the freezing process would continue upward. In this way, the depth of the oceans, seas and lakes would be transformed into mountains of ice and when the temperature in the atmosphere became warmer only a thin layer of water would thaw; thereby the aquatic life would come to an end. The other chemical properties of water are such that they allow life to perpetuate. Thanks to its chemical properties, plants carry water from the depths of the soil up to the top of large trees (of which distance can be measured in meters). If the surface tension of water were low, as in the case of many other liquids, the plants could not absorb water. This would be the end of the vegetation and animal kingdom. We have so far covered many essential subjects vital for our life on earth. The subjects covered ranged from the precise regulation of the velocity of the atom in the aftermath of the primeval explosion to our remoteness from the sun, from the features of the atmosphere to Van Allen belts, from the surface temperature of the earth to the heat in the depths of the earth; the least change in any one of these creations would be the end of our lives. Our life depends on a chain of phenomena with thousands of links, each one being in perfect order and of extremely complex structure. This chain may break at its weakest link. So, the chain’s life entirely depends on that particular link. Supposing that each of the prerequisites making life possible displayed excellent performance of its function; if a seemingly insignificant event like water’s tension were ignored, our life would vanish. All these details are so many evidences of precise calculation by our Creator, Omnipotent and Omniscient.